Dr. Woodfill was born and raised in Iowa. She attended the University of Iowa in Iowa City where she received her D.D.S. degree. 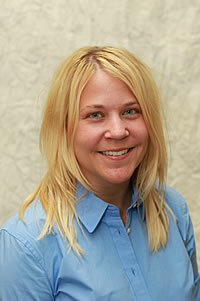 Dr. Woodfill moved to Phoenix in 2005 and joined Associated Dental in August of 2007. She currently practices at our Bell Road office. Dr. Woodfill spends her leisure time reading, learning to cook, spending time with family and friends, and cheering for the Iowa Hawkeyes.